My ambition is restless and my drive is relentless. There’s this need I’ve always had—a constant calling to do things differently than they’ve always been done, a calling to start something new. I’d already been an attorney, spending my days prosecuting Fortune 500 execs. I’d founded a luxury women’s wear company whose client list boasted the likes of Saks Fifth Avenue, Neiman Marcus, and Nordstrom. I knew I couldn’t imagine my life without kids. (I mean, who else was going to take care of me in my twilight years? I say, mostly joking.) That said, I also knew if I had bionic eggs coated in teflon, I would’ve waited another ten years. After my daughter was born, I was stunned by how much I’d not only fallen in love with her, but with being a parent. Honestly, I’d never felt so alive, engaged, and connected before. I’d never been so purely, simply happy. At birthday parties and in line at the grocery store I’d hear other parents talk about how hard it was being a parent, how difficult it was raising kids. I just couldn’t ever relate. NOTHING IN MY LIFE HAD EVER BEEN EASIER THAN PARENTING. Nothing had ever felt so natural, like I was doing exactly what I was always meant to do. I had an instinct that guided me, and I skipped over the books and parenting “experts” to rely on my own gut (for better or worse). Given how foaming-at-the-mouth ambitious I was, my love for parenting was a strange realization. 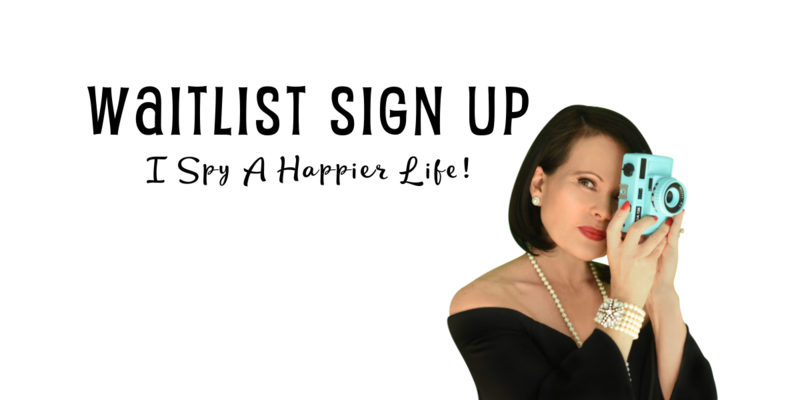 Almost overnight, my all-encompassing idea of professional success morphed from prestige and money to freedom and flexibility and I just loved how being a parent blunted my need to accomplish and succeed professionally. BUT THE PROBLEM WITH KIDS, HOWEVER, IS IF YOU FEED AND WATER THEM, EVENTUALLY THEY GROW UP AND OUT. I just never expected it to happen so damn fast. I was smacked squarely in the face* when my daughter entered her junior year and started to look at colleges and my son was touring high schools. It might sound silly, but I was so happy with my life that I had absolutely no idea what my purpose would be if it didn’t involve my kids. And then I panicked. Amidst all of this angst, I knew in my bones that it wouldn’t be possible for me to find my purpose if I didn’t know what my core values were. I knew I could find a new purpose. That’s what I would do! I just had to put in the work and figure out what I actually valued because now I was totally confused. (This time, I hired a coach to help me.) My values developed into things like challenging the status quo, living to your full potential, connection, excellence, and authenticity. I had the words. Now what? I just couldn’t make the leap on how this would get me to my new purpose? That’s when it smacked me across the face (again—life was feeling feisty). 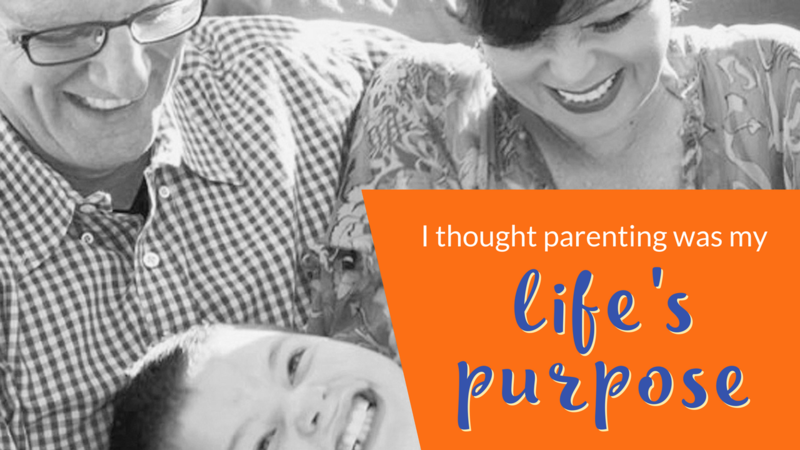 I realized that the fact I was so happy, engaged, and vibrantly ALIVE as a parent had less to do with my kids, and so much more to do with the fact that my purpose had always been about human potential and connection. In raising my kids, I was 100% aligned with my core values, and without realizing it, I’d been living my purpose the entire time. I got to thinking. (A dangerous endeavor, I know.) When did I feel the most alive, connected, and appreciated? When did it really, truly feel like everything was right and easy in the world? Cue the flashback to grade school when I sat on the playground rocks with friends, having one-on-one chats about what they wanted and how I could help them go after it. (The wants were mostly parent, boy and candy-based at that age. Just sayin’.) Still, I loved nothing more than learning more about who my friends really were, what lit them up and set them on fire. I wanted to figure out their superpower, watching what made them tick and pointing out when they were at their best—even if they couldn’t see it themselves. Really, there weren’t any huge life moments that relentlessly shouted at me to PAY! ATTENTION! Rather, they were simple moments, perfectly peppered throughout my life and sneaking up to give me goosebumps and chills. In those small snippets of time, I knew I was exactly where I should be and life was so easy. My mind linked all of these moments together, and then laced them together with a golden thread. MY PURPOSE IS TO SHOW PEOPLE WHO THEY ARE AND THEN INSPIRE THEM TO LIVE LIKE THEMSELVES. I know that we’re all granted a divine purpose at birth. In other words, we’re born with a calling. It’s all Easy Street until we muck it up by losing sight of who we are and what we value, replacing our values with the values of our parents, communities, teachers, “experts”or the media. The worst part? We’re surprised when we wake up years later, unhappy and uninspired. DITCH THE BOOKS. LEAVE THE SEMINAR. PUT DOWN THE CROISSANT. The answers are inside you, right where they’ve always been.